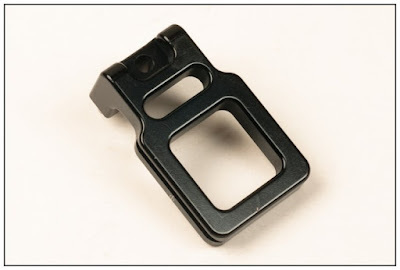 Neither the idea of a camera L bracket is new nor the idea of a two piece modular L bracket. Not even the idea for a Universal camera L bracket, as all are with us for a long time now. However, there is always space for innovation for restless minds. Chris Hejnar of Hejnar PHOTO has released a new Universal camera L bracket, which is so versatile and modular that will be able to fulfill the requirements of a big number of photographers. In order to fulfill different needs for different sizes of cameras, big P&S, M4/3, Mirrorless, small & large DSLRs with or without grip, Hejnar PHOTO has released an L bracket that comes in two parts. 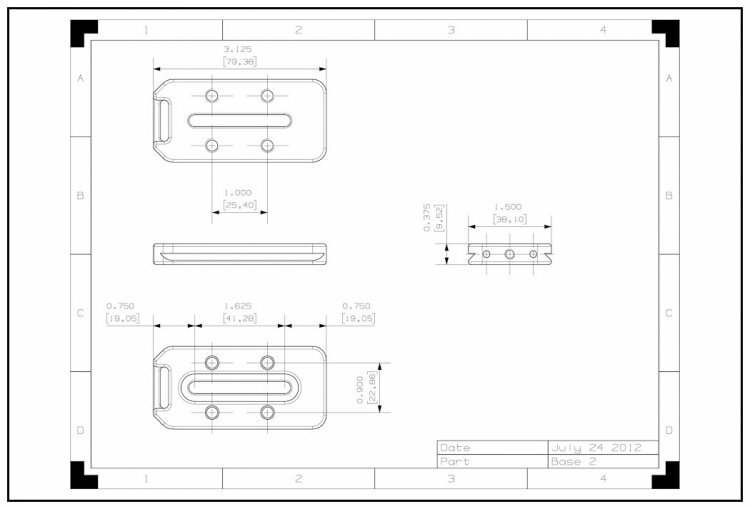 The base plate with a choice of three (3) different lengths and the L vertical side with a choice five (5) different lengths (heights in this case). 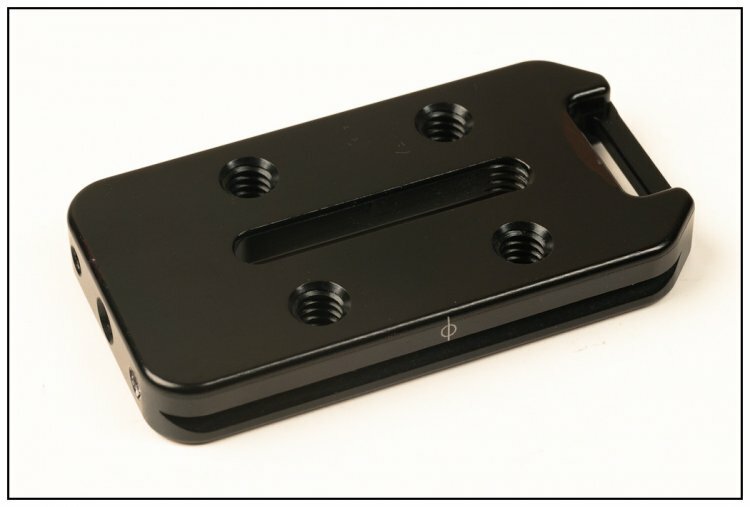 All parts are Precision CNC Machined from solid 6061-T6 Aluminum blocks and are hard coat anodized in a glossy black color. Further, all screws are made of Stainless Steel. 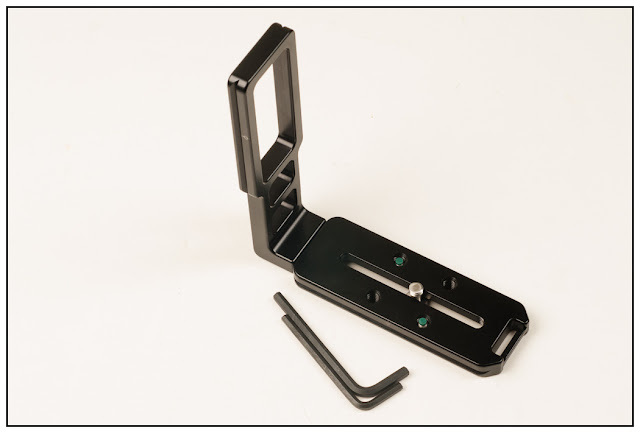 All L bracket bases have an elongated slot which lets you move the L bracket away from the camera in order give access to the side connectors, either to connect to your computer for tethered shooting or simply insert a remote cable release. 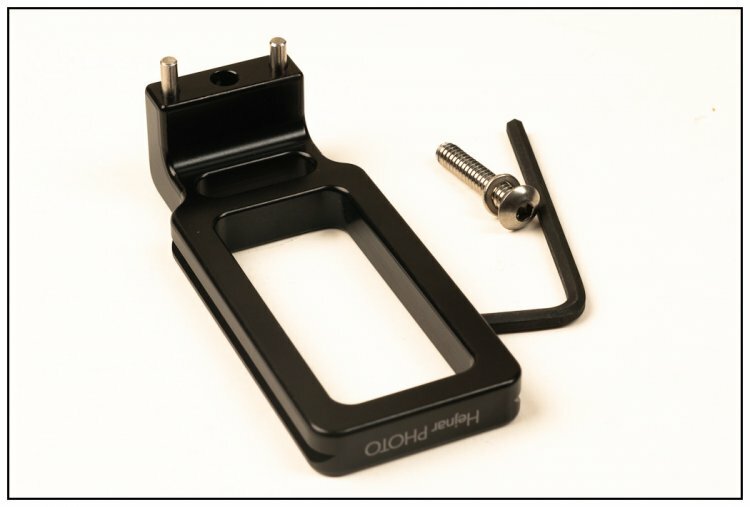 Each base plate can be used as a stand alone camera plate or in combination with an L bracket side as a full L bracket. 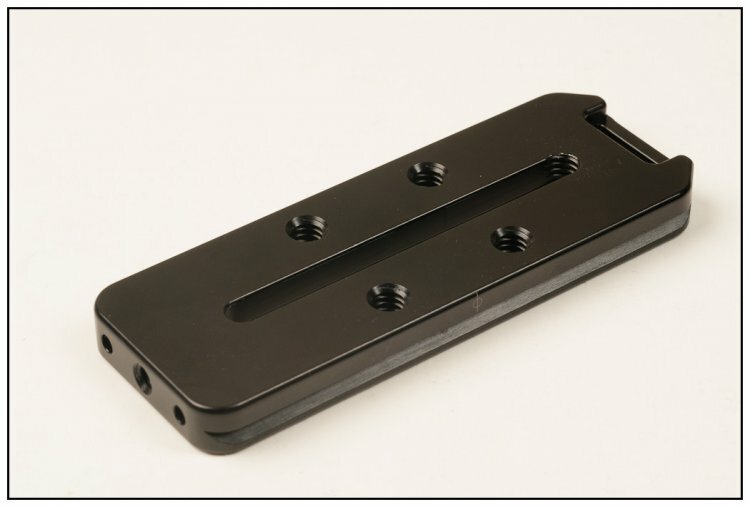 The Base plate has four 1/4"-20 threaded holes and is accompanied by two soft tipped screws, that exercise pressure against the mounted surface and prevent the plate or L bracket from twisting. 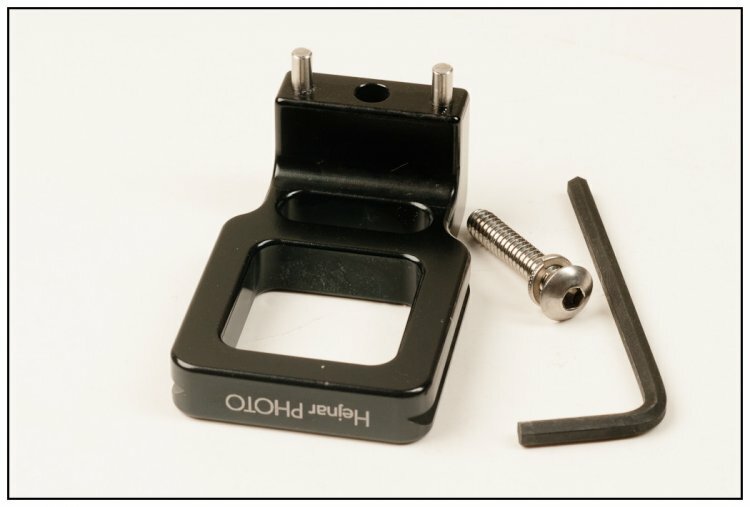 Further there are also one threaded and two alignment pin holes on the side for the attachment of the vertical L side. 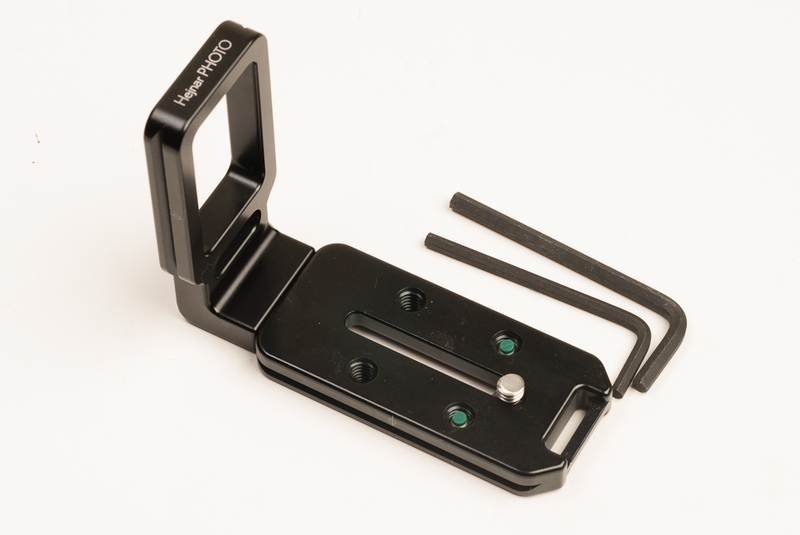 A strap mounting hole is present on the other side enabling the attachment of a wrist strap. One 1/4"-20 0.4 inch captive style screw. L Base 1 drawing with exact dimensions (Click to enlarge). 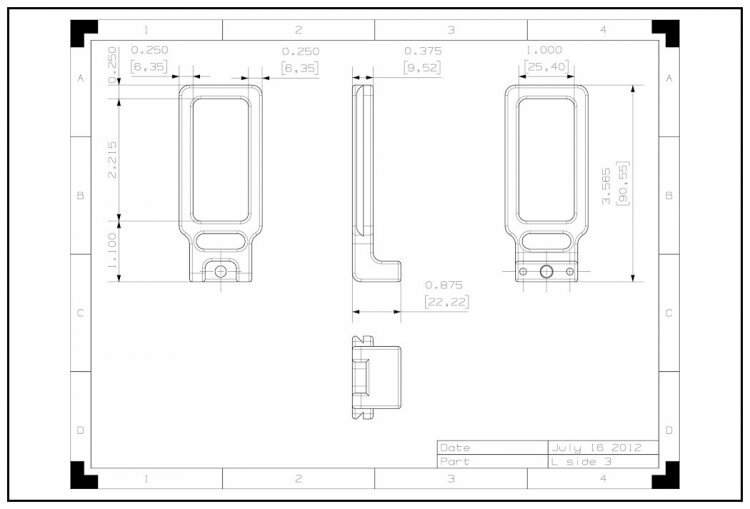 L Base 2 drawing with exact dimensions (Click to enlarge). 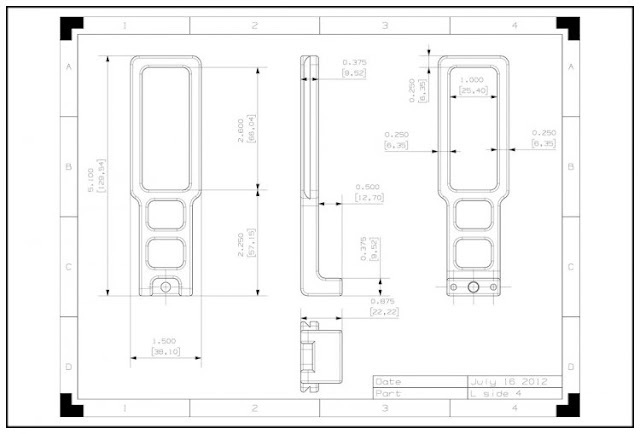 L Base 3 drawing with exact dimensions (Click to enlarge). 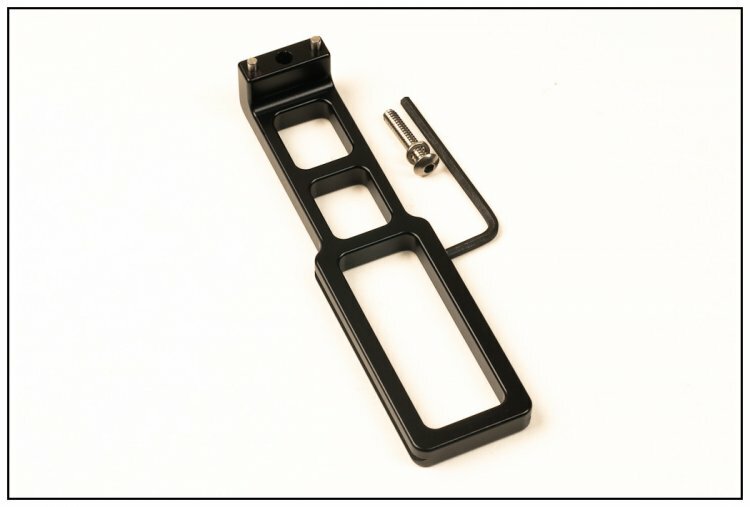 One Allen Hex key for the connecting screw. 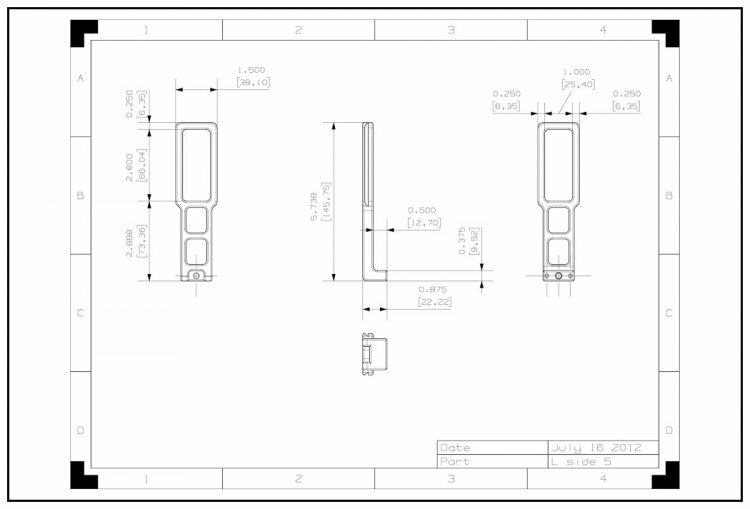 L Side 1 drawing with exact dimensions (Click to enlarge). 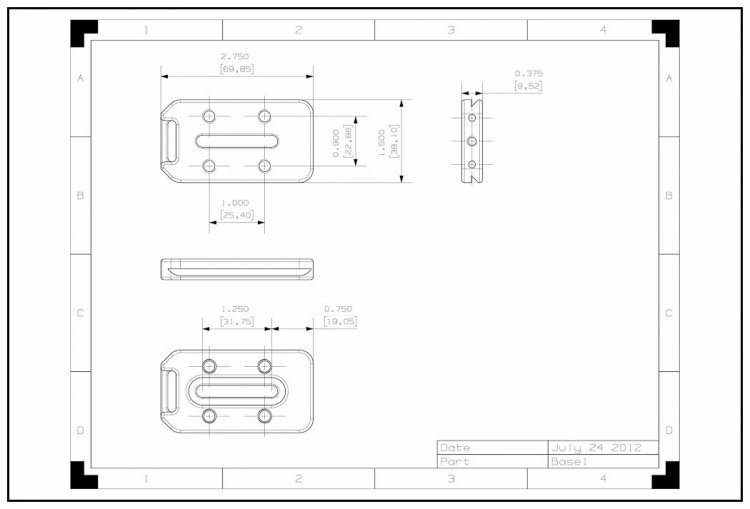 L Side 2 drawing with exact dimensions (Click to enlarge). 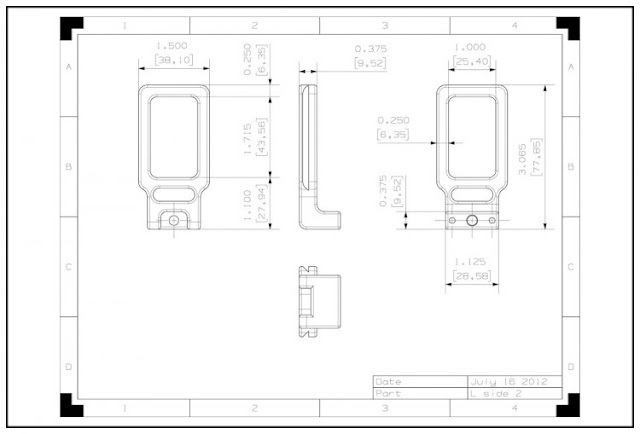 L Side 3 drawing with exact dimensions (Click to enlarge). 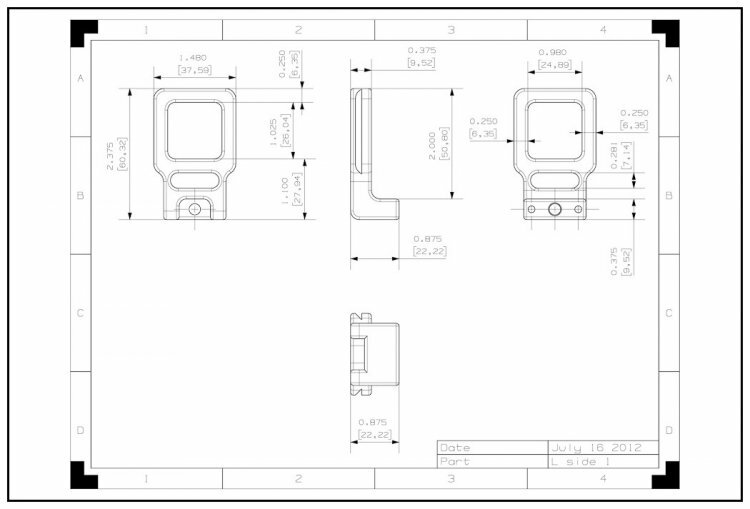 L Side 4 drawing with exact dimensions (Click to enlarge). L Side 5 drawing with exact dimensions (Click to enlarge). 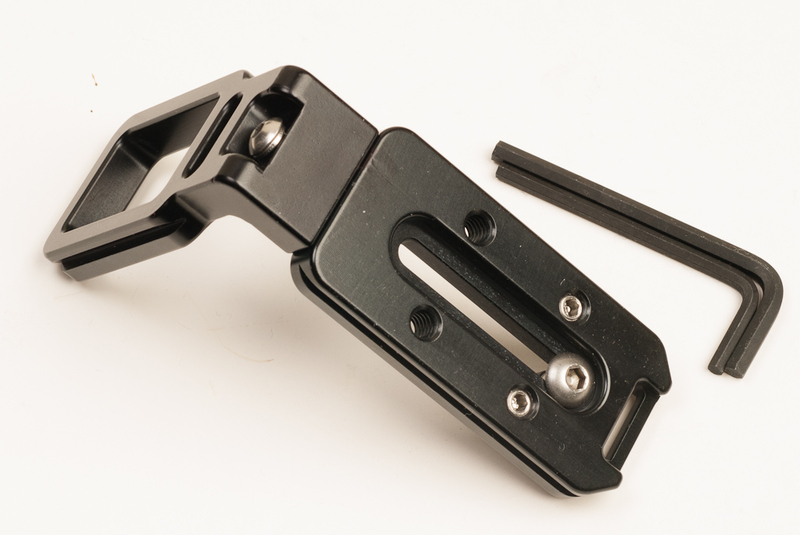 Besides the benefits of a modular L bracket, that permits the removal of the L side when not needed, the choice between bases and sides brings in a new versatility of combinations. 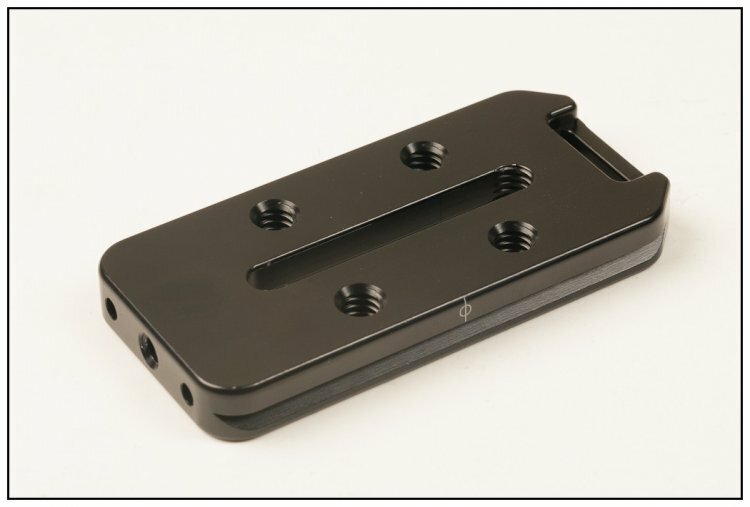 Just to name a few, you can have many L bracket Base plates for different cameras bodies with one L bracket Side to be used when needed on each one. You can have one L bracket Base plate with two different L bracket Sides switching between a gripped or non gripped operation of the camera etc etc. 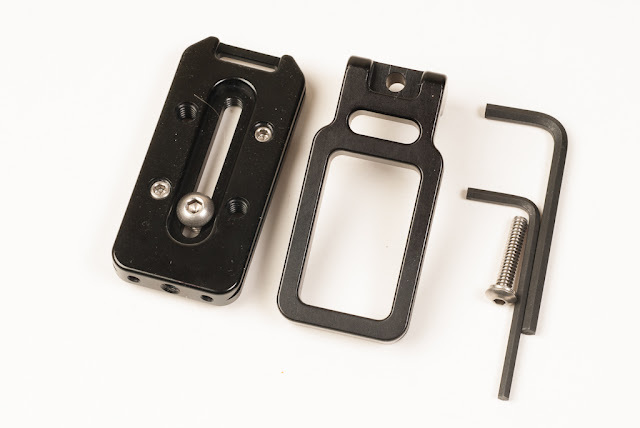 Simply you pay for what you need, when you need it! 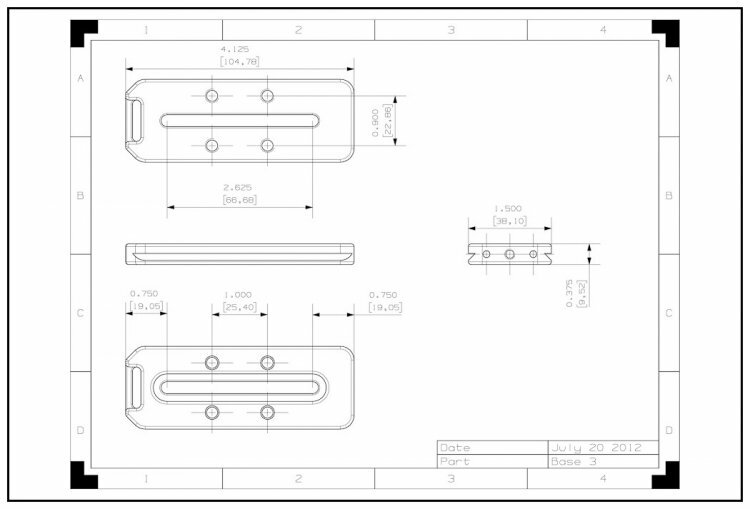 Current price for all L Bracket Bases is US$ 45.00 while the price for L Bracket Sides 1, 2, 3 is US$ 45.00 and for Sides 5, 6 is US$ 65.00 (+Shipping where applicable). 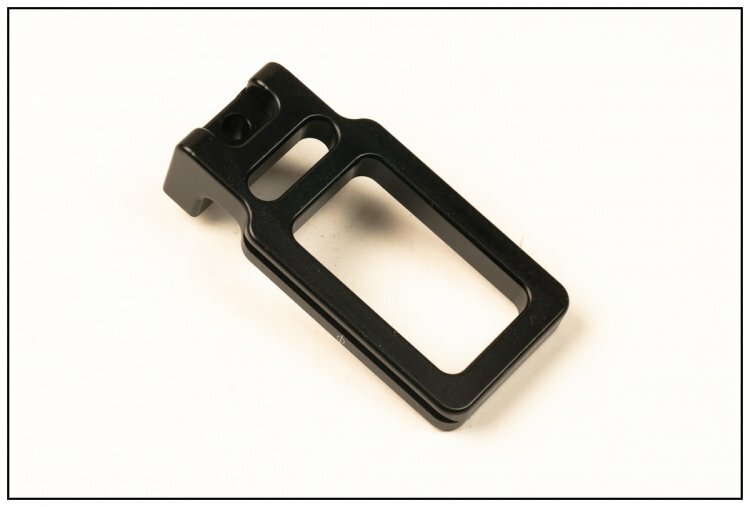 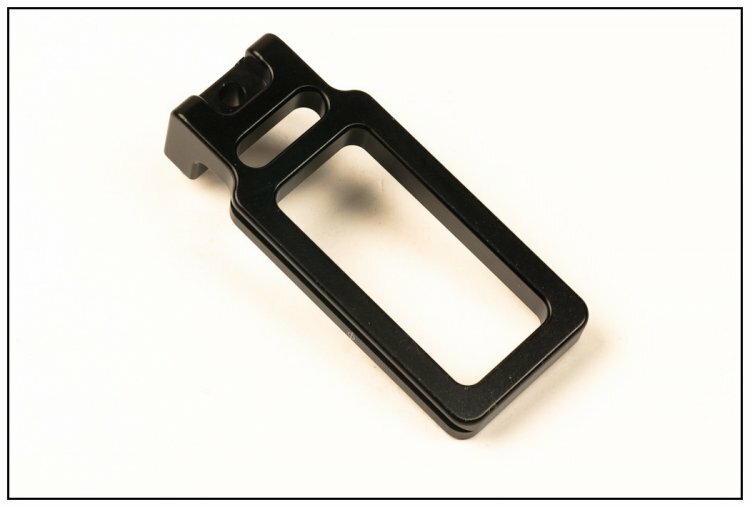 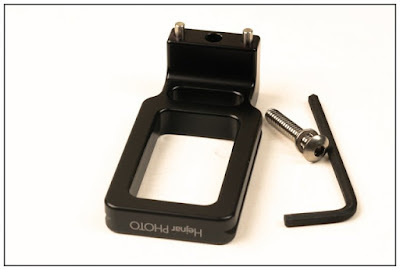 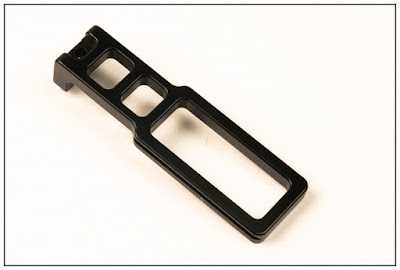 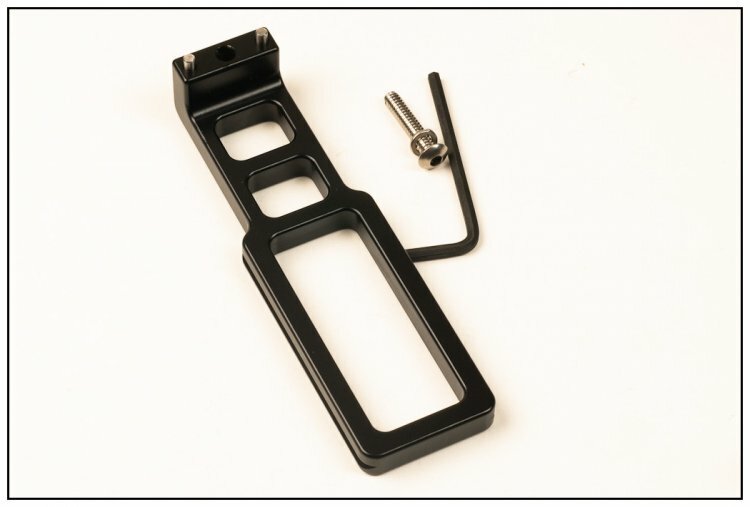 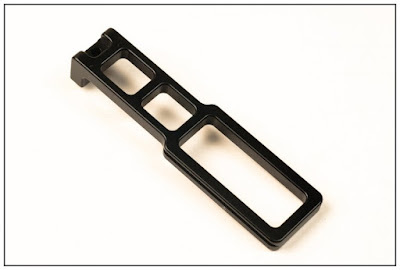 All Universal L Bracket Components are available from Hejnar Photo online Store. As of 2017 Hejnar Photo Modular L Brackets are no longer available from the Hejnar Photo online Store. 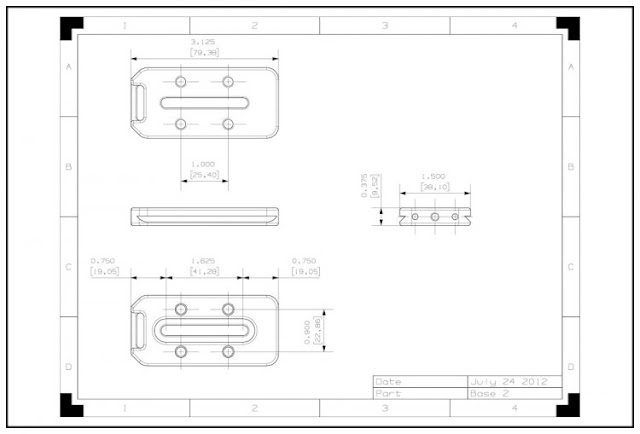 Dedicated / Custom and or Universal camera base plates are available instead.